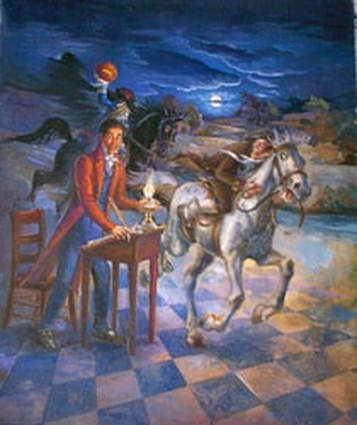 ​Headless horsemen and sleepy old men - could there be more to know about Washington Irving? There could indeed! Clement Clarke Moore’s A Visit from St. Nicholas was inspired by Washington Irving’s tales in his history of New York. Ask students who inspires them? Have them brainstorm a list of who inspires them and why, and then try their hand at some poetry writing! If they need more inspiration, have them use certain poets as “mentor texts” like Sharon Creech does in her novel-in-verse, Love That Dog. Composing a biographical essay in 400 words or less is quite a feat. Start your students in thinking groups to develop a list of thinks they think must be included in a biography, then have them read this Minute. How closely do Author Harness’ choices match the list they developed? What is her focus? How did she decide what to leave in and what to leave out? Does it work? Does this change their mind about what must be included? Do a quick search in the NF Minute archives (search bar at top right of every Minute) and compare. Are your student familiar with the stories mentioned in this Minute? If not, send them to this great site to do some reading! Bet your students did not know that Washington D.C. was not the first capital of the United States. In fact, there have been nine capital cities. Help your students explore this forgotten piece of history, then challenge them to learn more about the longest standing US Capitol, Washington D.C. It is never too early - or too late - to discuss the concept of intellectual property with your students. Introduce or reinforce the definition of intellectual property and teach your students about the public domain - the creative works that belong to the public as a whole and do not have copyright protection. Take a look at The Public Domain Review, Project Gutenberg, the Library of Congress, and the Creative Commons to introduce the concepts and ground rules for searching and using creative works in the public domain. How do we share information? This Minute works well for asking students to think about how to share, other than a written essay, lots of facts and ideas gathered around a person, place or thing. Ask student s to come up with another way to display the information in this Minute. Give them creative license - the less you show them, the more creative they will become. Will you get an Infographic? A painted picture? A timeline? A PowerPoint? Sway? S’more? Canva?How will they do it? Challenge them and wait!